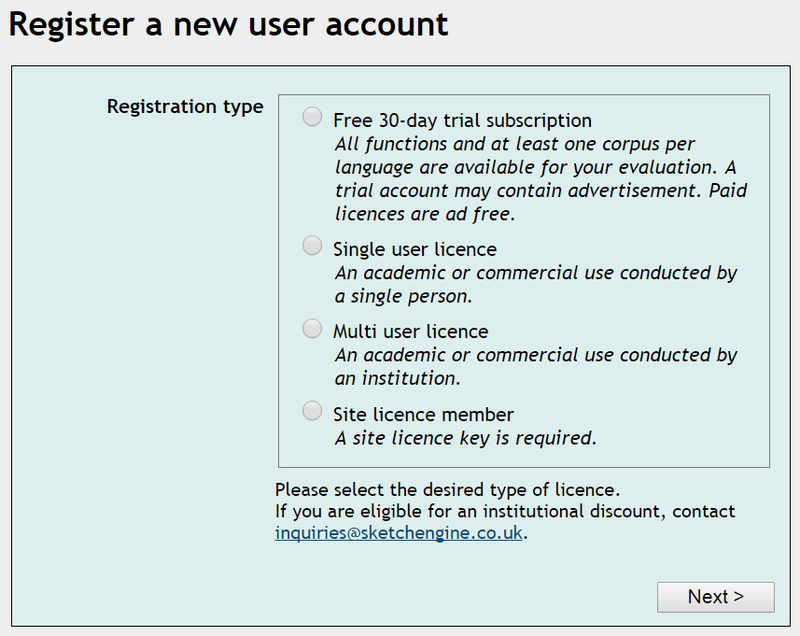 To register a new user account, start from step 1. Select the type of your account. 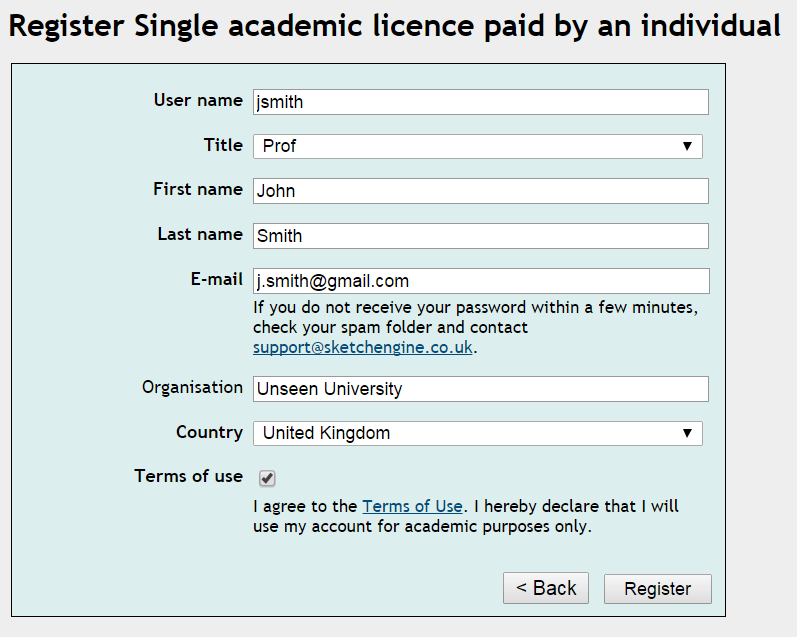 Fill in you account information, click the [Register] button and your account will be created. 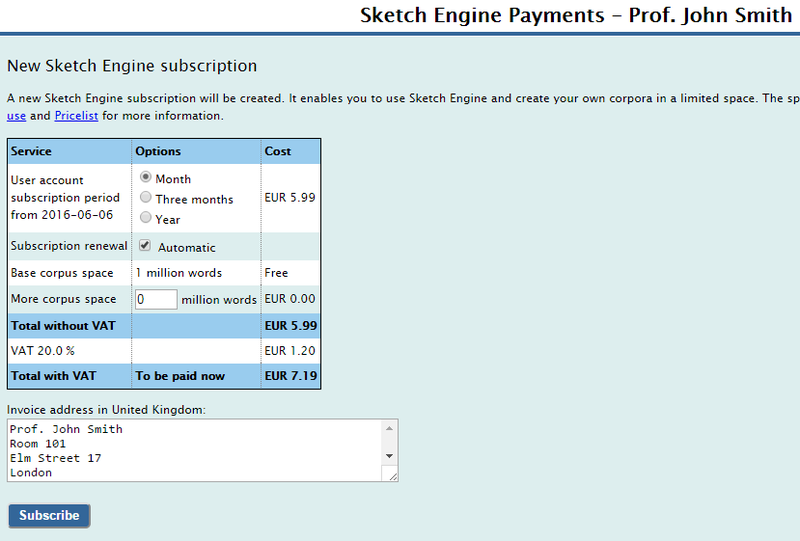 Select your subscription period and user space size. The subscription period is the frequency at which you will be charged. The corpus space relates to your user corpora only. One million words is included free of charge. You can order more space later when it is needed. Review the recurring payment and click [PAY NOW]. 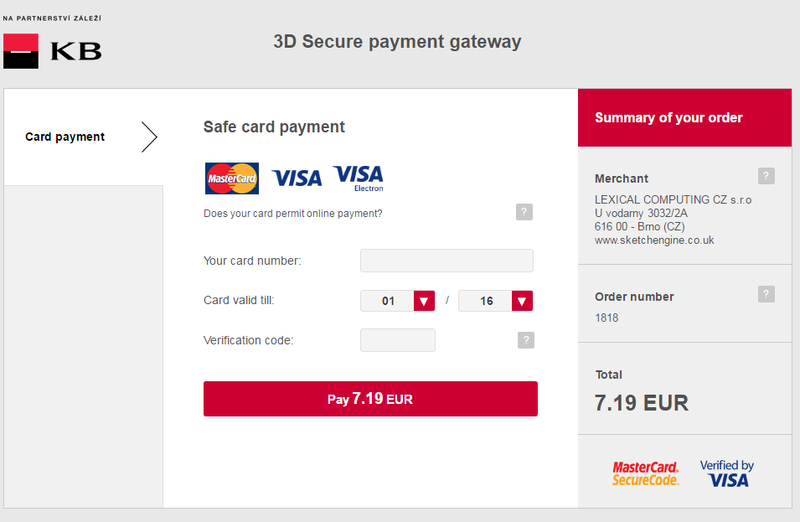 Input your card details in a secure payment interface. A temporary password will be sent to your email address in case of a new account. 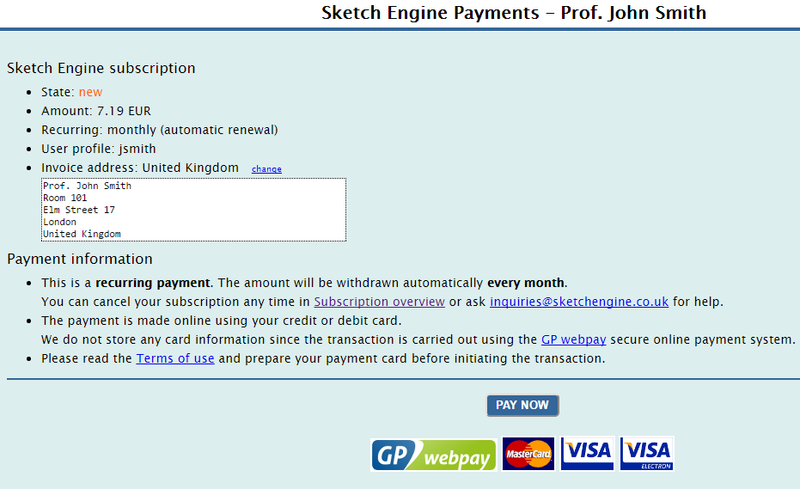 Please contact inquiries@sketchengine.co.uk if you need further help with the registration or subscription.